There’s a general misconception among online sellers—customers love cheap-priced products. When looked broadly, this claim might look quite fitting. But ‘broadly looking’ is also a gateway to make big blunders. extra bucks. Of course, come in play, certain exceptions, which we would discuss later. for many vendors, till now, only includes setting products at the cheapest price possible. Why? Because that’s what customers want! basic steps that are essential to becoming a profitable e-commerce player? called cost-based pricing, by the way). Sadly, it isn’t that easy. It’s simple—but definitely not easy. pricing strategies, and then jump onto which one should you employ. sales? Add both of these amounts together and you will have a final selling price at-hand. from your own desired profit, you shouldn’t always go with. strategy. And brands like Apple, Louis Vuitton, and Gucci champion it. the luxury brands, this pricing strategy can also work decently with essential goods, caeteris paribus. for a particular customer on a given period of time. For example, if you’re offering an umbrella, people would buy it more in autumn than in winter. depends on his budget, urgency in need, as well as your competitors nearby. often feel lost even when with the best multi-channel e-commerce solution. Back to the topic, competitor-driven pricing is pricing your products according to your competitors’. performance, you, too, sell high, or higher. Easy-peasy. target, we mean 9-24 months. 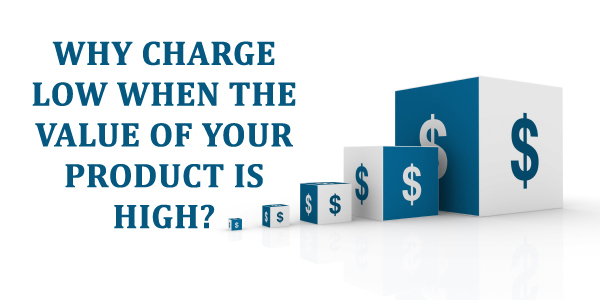 Set a goal for a return on the total cost, and then price your products in whatever way possible. in big profit—it doesn’t matter what approach you take. Your ultimate goal is to achieve this target. price—people would still buy from you because they require something to protect from the rain. season/time-change. This calls in for extensive market research and competitive analysis. offering just as great smartwatches. Why? Because Apple has invested in its brand, others haven’t. People trust its name. It commands authority in the market. regardless the price because they trust your brand name. the financial health of your business. consistent flow of income that’s covering the cost of your initial investment. entrants like you, they wouldn’t mind taking a hit on their profit margin for the time being. So, handpick some of the successful names in your industry. And then follow their pricing strategy. Unless you’re well-established yourself, don’t step-up to compete with them. customer—you just need to know when and how to offer them. products, there wouldn’t be any stopping to your sales. to create unique strategies for different types of the target audience. customer journey. It isn’t as difficult as it sounds, really! kind of strategy would be an ideal fit for you. your pricing strategy. Get things correct in this department and you’re good to go. This entry was posted in multi-channel e-commerce solution, online sellers and tagged Guide for Online Sellers, Guide to a Pricing Strategy on June 4, 2018 by admin.